All right, soldier! Head back behind enemy lines with Lt. Jimmy Patterson in Medal of Honor: Frontline. In this installment of the smash-hit Medal of Honor series, Lt. Patterson returns and must infiltrate the German front line to steal the HO-IX flying wing, an experimental Nazi weapon so powerful it could turn the tide of World War II and alter the course of history forever. Choose from over 20 authentic WWII weapons, including the Colt .45, Springfield Sniper Rifle, Panzerschreck rocket launcher, MG42 mounted machine gun and Browning automatic. I. Am new to playing. A game. Like. Medal. Of. Honor. So I am still learning. It's. Not so easy just point and shoot. Turns out. It's. A lot. More. To. It. At least. I am hoping to get better. Cause. Cannot. Move. Into. The game. If cannot. Off beach! Got my game on no time, about a week. Disc is in pristine condition. No scratches whatsoever. I'm 53 and yeah, i love video games. Remember atari? Love the ww2 games The newer games like moh are ok but when it moves to outerspace thats where i draw the line. Anyway lukie games is great and i will be buying more games from them. Good deal at a great price! 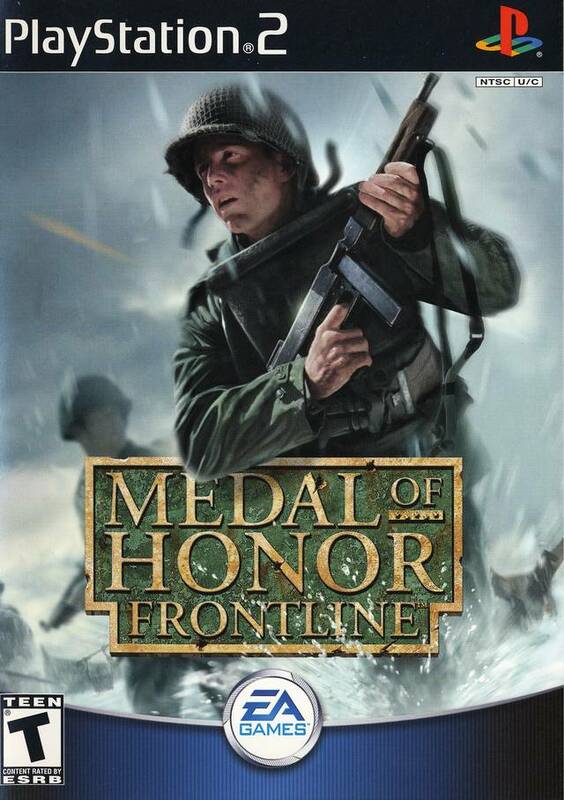 This was the first MoH I played back in the day, and it hasn't lost its charm! This game is has the most accurate depiction of D-Day! I'm not too thrilled about the controls but it can be adjusted. 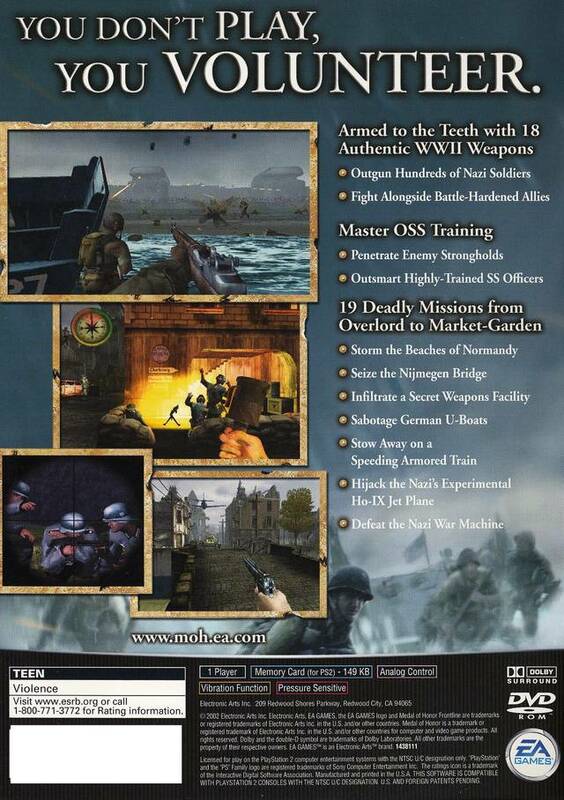 In all, it's a must own for any gamer who likes history and military strategy games. 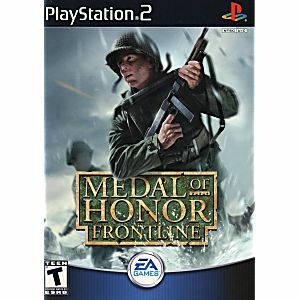 I love this game too, along with the other two Medal of Honor games that I have. This was the first of the series taht I played ten years ago (it belonged to a relative) and I was glad I saw it on Lukie Games and bought it. Back When MoH Was Actually Good!